Recent increases in line rental charges have hit elderly people the hardest, according to an Ofcom report. Between December 2009 and December 2016, line rental prices had increased by as much as 49% for some customers, the regulator said. And of the people with standalone landlines in their homes, 71% were aged 65 or over. Ofcom recently revealed plans to make BT – with nearly 80% of the UK market – cut line rental costs by £5. A huge proportion (43%) of the 2.9 million households with a landline only are occupied by people aged 75 and over. “Older consumers are particularly affected, as they are more likely to be dependent on fixed voice services if they do not have a mobile phone or an internet connection,” the report said. Ofcom also said it was “concerned” BT’s low cost option for landline-only customers – BT Basic Tariff – had not been taken up by many of the households that could benefit from it. The service costs £5.10 per month and provides customers with line rental and calls worth £1.50, with free calls at weekends. “We… are working with BT, the Department for Work and Pensions and other organisations to raise awareness,” Ofcom said. Elsewhere in its report, Ofcom detailed new evidence for the increasing uptake of internet access among elderly people and people with disabilities. One in five people with disabilities is still without such access, however, making them “much more likely than the population as a whole to face exclusion issues as a result of not being online”. “Life costs more if you are disabled,” said James Taylor at disability charity Scope, who called for more to be done to get people with disabilities online. The combined cost of higher energy bills and specialist equipment reaches on average £550 per month, according to Scope research. “The internet provides access to tools to compare prices, access to the best deals and offers, and information which can help disabled people be savvier shoppers,” added Mr Taylor. 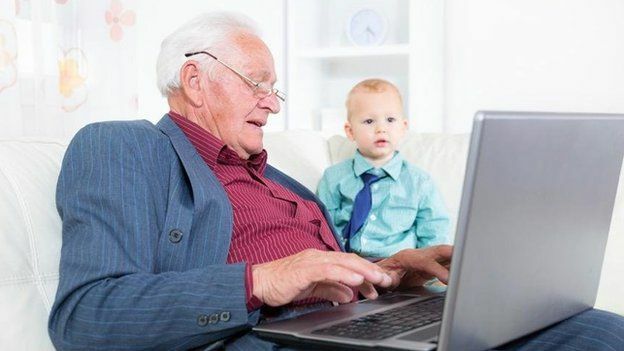 And elderly people continued to be frustrated by encouragements to use services online, instead of in person or via the phone, said Sally West at the charity Age UK. In particular, having to adapt to how technologies changed thanks to frequent software updates was an example of how digital life could be off-putting for those in later years, she said. “Every time there’s an update of an operating system or something like that – that’s a struggle for everybody – but if you’re new to using a computer or tablet, you can be thrown when things change,” Ms West told the BBC. But while vulnerable people still faced difficulties and rising costs associated with some of their services, those who used home broadband and mobile data plans were getting an increasingly better deal, a separate Ofcom report on pricing revealed.